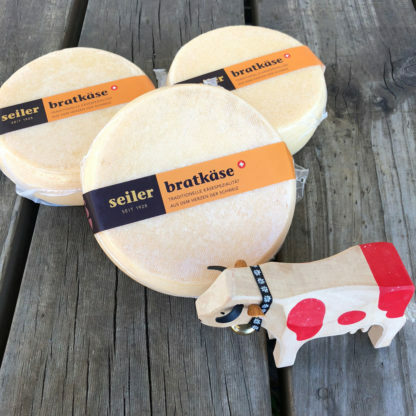 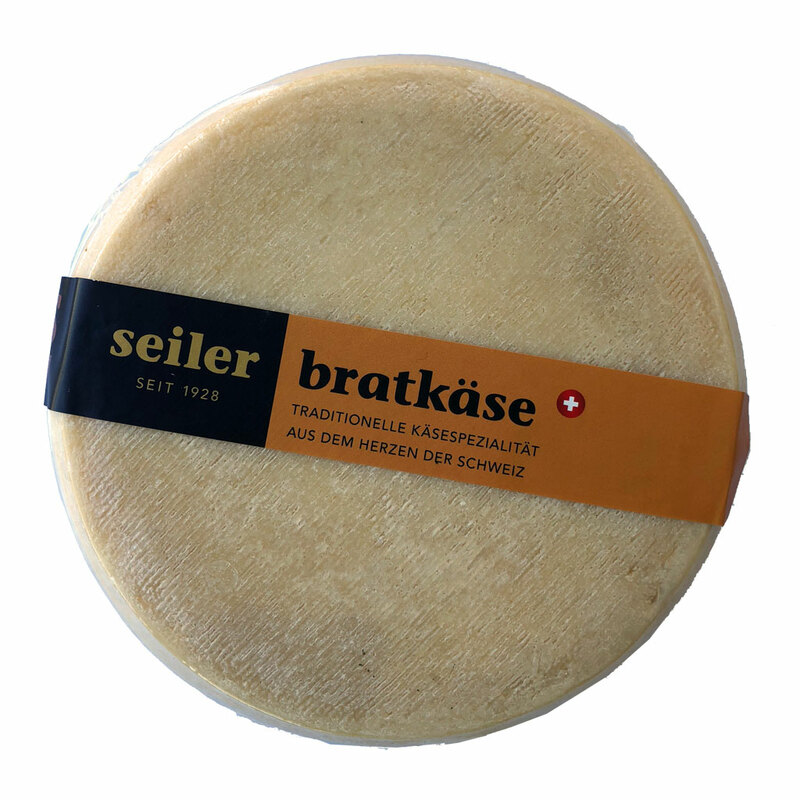 This traditional Bratkäse comes from the Seiler Dairy in Sarnen using pristine, pre-alpine milk for their production. 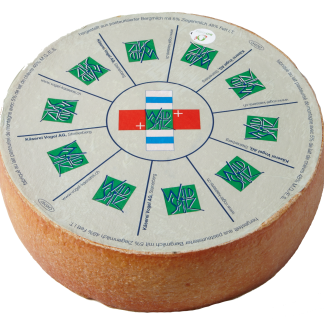 The Bratkäse is an about 900g wheel made from pasteurised cow’s milk. 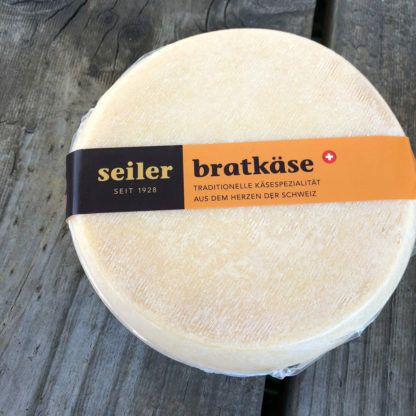 It’s recipe is based on a long tradition from this part of Switzerland. 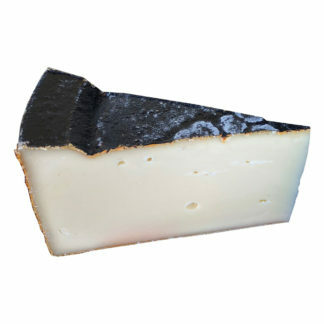 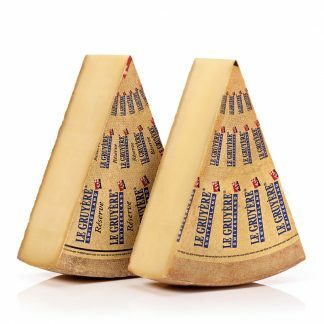 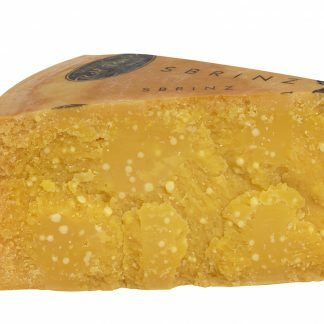 The cheese rivals the better known Raclette with it’s flavour and particularly it’s fabulous melting characteristics. 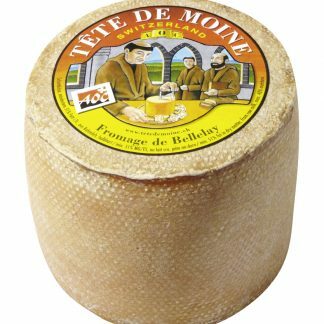 This cheese is vacuum shrink wrapped for maximum freshness and lasts for up to 2 months after purchase if stored correctly.